Weeeeeeeell…… We’ve been quietly working away on a product that is going to (we hope) become your new must-have daily body moisturising cream! We do like to think that we listen to your requests and at the beginning of this year when we asked what you wanted us to make next, we received a LOT of requests for a body cream. And in typical Happy Skincare style, we wanted our body cream to be better than the rest. So we’ve added some extra goodies to make sure it over-delivers and leaves you feeling incredible from top to toe. If you read the Happy Blog you’ll know that some product formulas have taken us over a year to get spot-on, but this time we got pretty darn close on our first attempt. It wasn’t perfect though, and as usual our trusty team of human hamsters (product testers, that is!) came to the rescue. The vision for the Warm Fuzzies was to have a cream that deeply hydrated, spread easily, soaked in effortlessly, smelt amazing and felt like a big warm hug. We all know how good hugs are for the soul. Our hamsters helped us turn a body cream that was really good into something very special, and we’re very grateful to you all. There are a few little hurdles we need to jump over before the full sized tubes are ready, but we just couldn't wait to share the sample size with you. 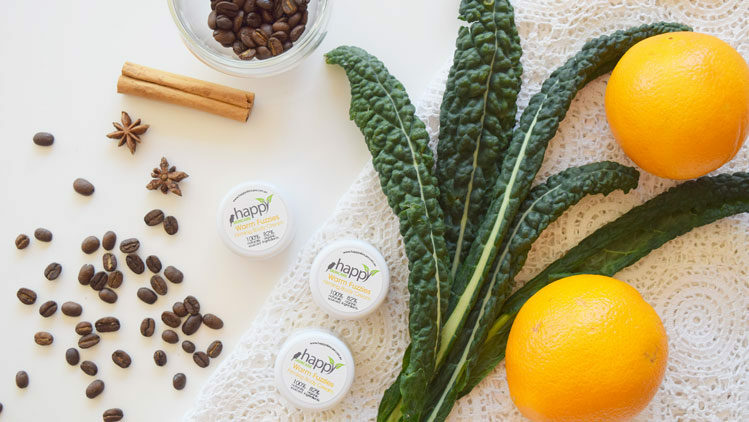 We’re putting the Warm Fuzzies Body Cream out there for you to try, and we’d really love to hear your feedback after you’ve taken this sample for a test drive! I really like this body cream. It's doing wonders for my dry pregnancy skin, and hopefully keeping some of the stretch marks at bay! (18 weeks and none yet... I think it's got to do with my generous daily use of Warm Fuzzies). I feel like I need a larger-than-expected serving to cover larger areas, but it's still fairly long lasting, even with my daily use. Smells great, absorbs quickly, and lasts - I still feel moisturised a day later. Another highly recommended product!